Absolute Rights is helping America prepare with the essentials needed for a bug out bag list. Knowing the particular characteristics and vulnerabilities of one area can make preparing a bug bag easier and more effective. A bug out bag list, or emergency disaster kit, is crucial for your famiy’s survival in the first 72 hours of a disaster. sccording to the latest article from AbsoluteRights.com. Horrendous storms and floods, Fukishima-type nuclear emergencies, riots and governmental breakdowns are real threats in today’s unstable world. Evacuation may be called for in the blink of an eye; being prepared may be the only way to make it out of a crisis alive. In response to these threats, AbsoluteRights.com has provided a top flight, hands on program for emergnecy preparedness. 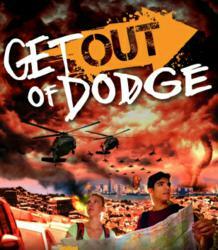 “Get Out of Dodge” covers several different emergency scenarios and gives expert advice on how to handle them. The “Get Out of Dodge,” or G.O.O.D. system, includes a 64-page Special Report, along with a G.O.O.D. Workbook to help readers follow through with emergency management plans in advance. A key part of the Special Report is its own version of a bug out bag, the G.O.O.D.I.E. bag (or, “Get Out of Dodge Immediately and Efficiently” bag). It’s described as something that should be packed today, and hopefully never used. Its main purpose is self-sufficiency, since, as the world saw in the aftermath of Huricane Katrina, emergency management crews may not reach a disaster area for days; you may well be on your own. The article noted that in emergencies, people fall into conventional instincts that, while fine for everyday life, could spell catastrophe. The “Get Out of Dodge” Special Report includes an extensive checklist of G.O.O.D.I.E. bag items, which could end up being the only possessions saved from a fire, flood, war, or riot. A lot of thought and time should go into a G.O.O.D.I.E. bag list, which is why the Special Report puts such emphasis on starting now. Plus, it makes specific distinctions between the variant types of bug out bags for different locations and situations. For instance, coastal towns should have supplies geared toward surviving floods and hurricanes, while northern and mountainous cities with cold winters should be prepared for blizzards or even avalanches. Knowing the particular characteristics and vulnerabilities of one area can make preparing a bug out bag easier and more effective. The AbsoluteRights.com Special Report gives crucial advice to prevent getting caught unprepared without the knowledge and capability of survival. A digital copy of “Get Out of Dodge” is available for instant download to help folks start compiling a G.O.O.D.I.E. or bug out bag list immediately.